Are you looking to improve your conversion rates and turn your website into a money minter? If ‘yes’, you need to build one or more landing pages. As soon as your visitors land here, they would have no option but respond to your call-to-action (CTA) efforts. The purpose of a landing page is to guide your visitors to your intended conversion goal. However, it is not easy to build landing pages that appeal to your visitors. In most cases, landing pages are built to be simple enough to direct visitors to your site to act in certain ways. It could be something as simple as filling in the sign-up form, clicking on a certain icon or buying the products on offer. To accomplish all that, you need a dedicated landing page builder – one you can use without the need to learn coding or programming. The following are the top seven landing page builders With Free Trial and easy wordpress integration . People who have used InstaPage say it reliable and easy-to-use when creating landing pages. Apart from being a versatile landing page builder, InstaPage has the ability to import templates from your favorite websites. Once you get the hang of it, using the drag-and-drop editor to build your landing page is very easy. Are you after using InstaPage to host your landing page? It is only possible if you are subscribed to the Enterprise Plan. If not, you will have to pay more unless you want to host the pages yourself. You have no reason to publish your landing page without testing it for SEO. On InstaPage, you will get a number of features to help you do just that. A drag-and-drop editor that’s both easy-to-use and rarely limited. Ability to integrate with 20 or more platforms. There are a number of landing page builders that are either limited or complicated to use. When it comes to InstaPage, the drag-and-drop editor is so powerful and the redesign so intuitive that customizing your landing pages becomes so easy. The monthly price of InstaPage on Basic Plan stands at $79. You will have access to hundreds of pre-designed templates to work with. It is because of this and other features that InstaPage has become one of the most popular landing page creators. Business owners of all sorts need to create responsive marketing funnels and ClickFunnels is the go-to tool. It is an effective tool for converting visitors to your websites into customers for the different goods and services on offer. It has an easy-to-use interface that quickly takes you to the hundreds of pre-built landing page templates. 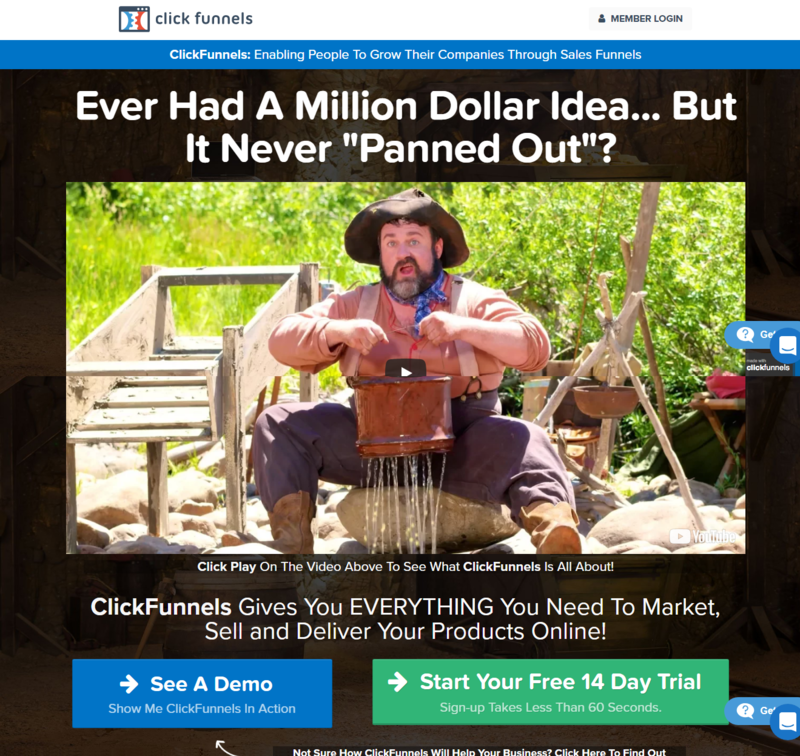 Apart from landing pages, ClickFunnels is used to create subscriber lists, membership sites, webinars, and sales. 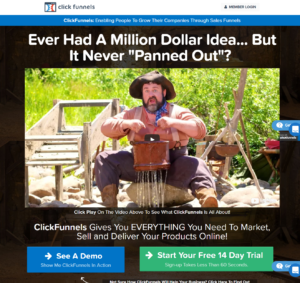 To get ClickFunnels, you will have to pay $97 per month for the basic package and $297 per month for the Edison Suite. You will get a free trial for the first 14 days. LeadPages is almost incomparable when it comes to providing you with quality landing pages. You will get value for money with landing pages that are better geared for lead generation. They provide at least 100 templates from which you can choose the best. When signing up for LeadPages, consider paying annually to qualify for the huge discounts on offer. The LeadPages fees translate to $25 every month. One of the main reasons for working with LeadPages is that it provides pages that are highly mobile responsive. No need for coding skills. By simply customizing the content, you can create the best landing pages. Use the drag-and-drop editor to add or remove features from the page. If you have a little knowledge of coding, you can change the features on the page through the HTML option. LeadPages is armed with inbuilt analytics to help you track the number of visitors converting on your landing pages and their journey. It also connects you to other platforms thus exposing you to numerous other prospects. When it comes to landing pages, Unbounce is a very well-known builder. With a very easy-to-use interface, Unbounceis the best way of complimenting the other ways you do your marketing. After you have created a landing page, it is very easy to publish it on your WordPress site. You, however, have the option of hosting the landing pages on your own site or on Unbounce. The landing pages built using Unbounce are not only mobile responsive but also easily customizable. You can also use Google Analytics or Unbounce’s own independent analytics. Apart from enabling you to create great landing pages, GetResponse also provides you with marketing automation and email. With its great features, it is the tool you need to give your marketing efforts a boost. GetResponse is the best way to create mobile responsive landing pages. It is also easier to customize the pages simply by editing the layout and visual elements. To ensure you are more visible, just link your landing pages to your social media accounts. Internal analytics is available on GetResponse. By connecting to Google Analytics, you will be able to get a glimpse of how well your mailing campaigns are performing. Creating and optimizing custom landing pages for your site is easy with Landingi, whether you have coding skills or not. It comes with design features that stand out from anything else on the market. If anything, you will get unlimited users, domains, leads, traffic, and landing pages. One of the reasons why marketers love Landingi is its solid editor. It is possible for you to select the best of the available templates or create new ones from down upwards. If you don’t have experience building landing pages, simply call the team at Landingi and they will help you out. You will pay as little as $29 monthly for the basic plan to get support for your campaigns. It is also possible for you to optimize the landing pages with simple features such as the A/B split testing. What more could you want in a page builder? Are you interested in creating pop-ups and social content? Why don’t you do it on Wishpond? It is also possible to give make landing pages ready for marketing automation. With Wishpond, you are free to create several landing pages whether you are using the basic package or otherwise. Only be ready to pay more. After all, the more the landing pages you create, the more you will pay. There are over 100 templates on Wishpond, from which you can choose the best. All of these great features for a fee of $49 per month on the Starting-Out package. With the basic package, you can only access up to 1,000 leads. If you are an online marketer, there is no way you can succeed without best landing page creators. That’s especially you have a small business that requires a huge boost to grow. Pick a tool that best serves your needs and you will never be disappointed.